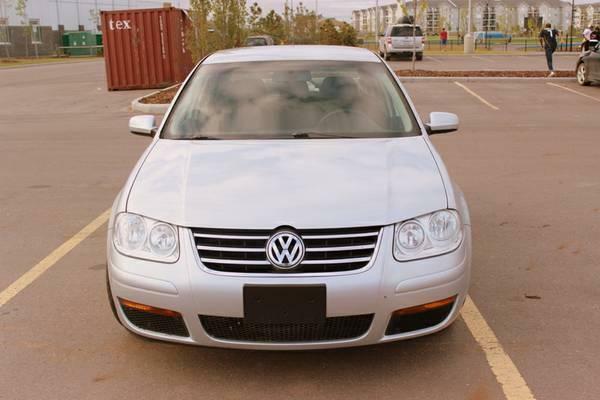 2009 VW Jetta City, 4D Sedan, ~104,500 Kms (All highway Kms), Manual Drive, 2.0 Engine, Cruise Control, Power Windows, FM/AM/CD/AUX & USB Input. Summer tires on aluminum wheels (used only one season) and Winter tires on original VW steel wheels (used two seasons) included. Bought it from a dealership in Edmonton in summer 2012. Reliable and in excellent condition inside and out. We don't have pets and we don't smoke. Just moved to Fort McMurray and see no need for two cars as my wife and I take the Diversified bus to work. Willing to provide Car Proof Report once ready to buy. Under 21? How does guaranteed financing at 0% sound?